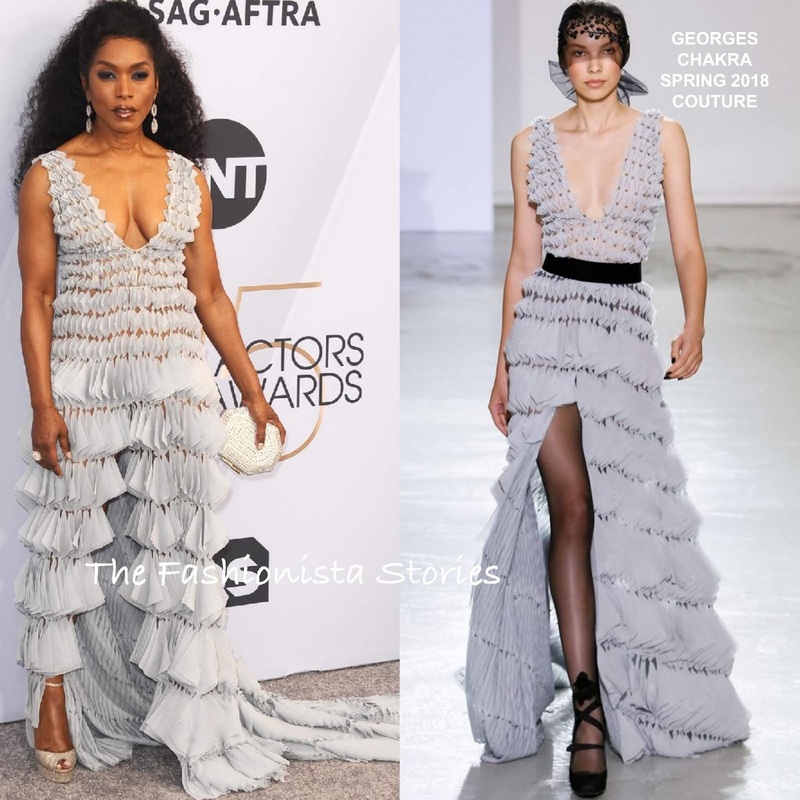 Before she presented and walked away a winner with her 'Black Panther cast, Angela Bassett posed on the carpet this evening(January 27th) at the 25th Screen Actors Guild Awards at the Shrine Auditorium and Expo Hall in LA. Serving up a little cleavage action, she wore a GEORGES CHAKRA SPRING 2018 COUTURE gown. The neckline is bothering me a little because it's a little to wide on Angela. However I am definitely missing the black belt. It provided balance, which was needed here. A flawless beauty look, GISMONDI 1754 jewelry and CASADEI sandals finished up her look. Are you missing the black belt as well?